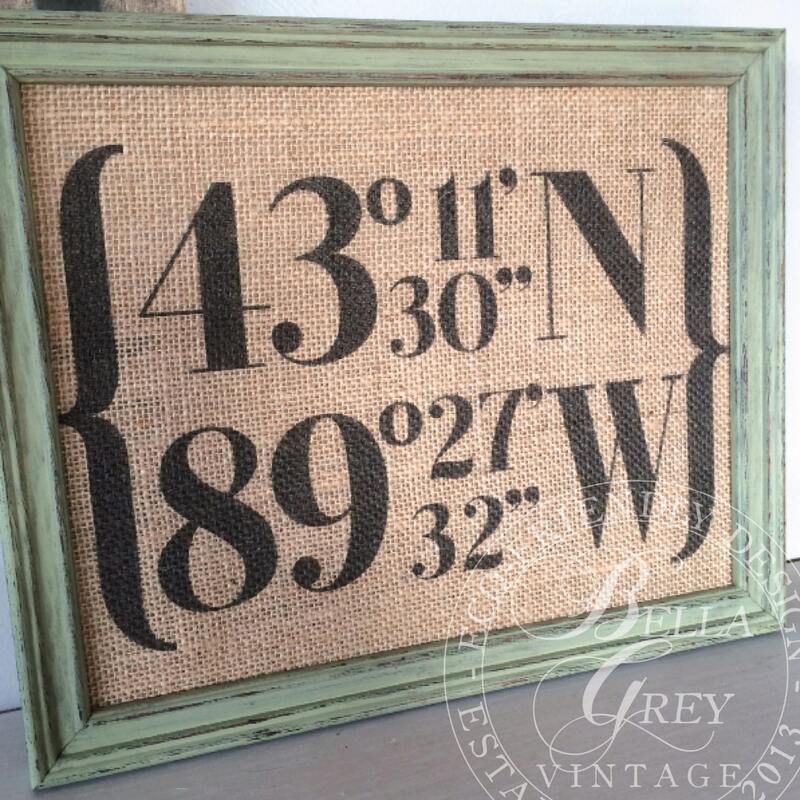 Fabric Art Print features the longitude and latitude of your choice. A wonderful, heirloom quality, housewarming, graduation or wedding gift! Open the compass app on your iPhone and you'll find the exact coordinates of where you are located! 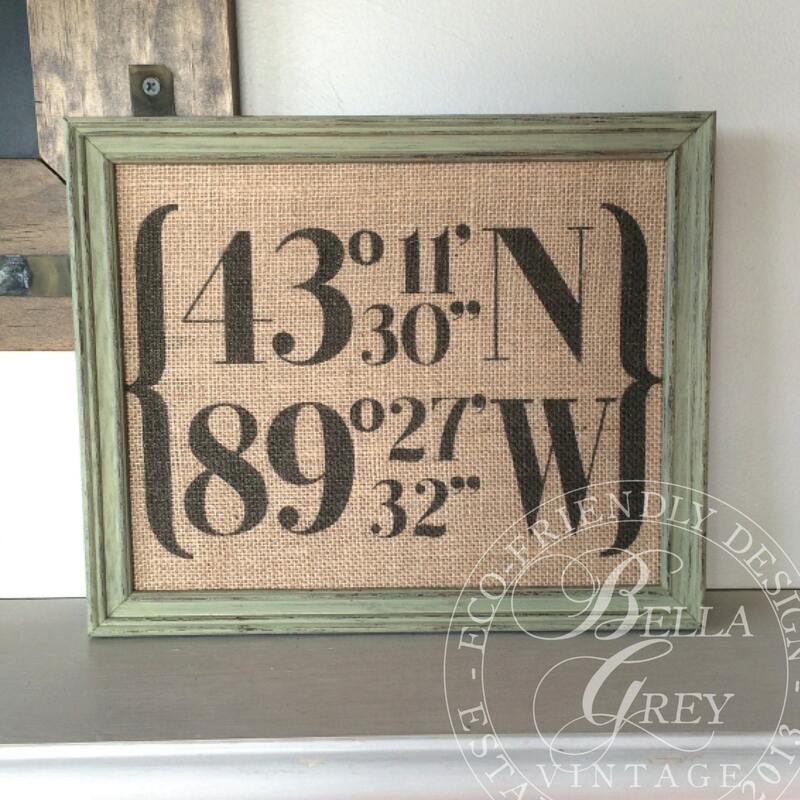 I love this and how it's customized to locate somewhere special to us. Having the cotton option makes it a great second anniversary gift for us. Thank you! Such a great gift! Came out perfect! My sign was beautiful and the owner was very responsive! This made an excellent going away gift for a colleague.